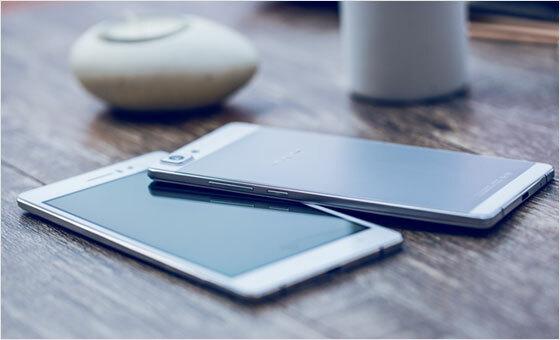 Following the Finder, the thinnest smartphone in the world for its time, OPPO launched the R5 on the 29th of October, 2014. Packing leading technologies and flagship specifications in an ultra-thin body which measures at just 4.85mm, the R5 sets the record as the thinnest phone in the world yet again. In addition to the smartphone’s thinness, another major highlight of the phone is the adoption of higher-strength stainless steel in place of the commonly used aluminum alloy to make its unique micro-arc frame. Theprocess used to create a more rugged and durable frame letsthis ultra-thin phone“say no to bending” and overcomesthe weakness generally found in ultra-thin phones. Now consumers can slip the phone into their pocketsand sit at ease without fear of it being bent. It could be said that a phone’s frame is its skeleton. If it is not made of strong material witha high quality, the phone may fall subject to damage easily. The norm throughout the industry has been to usealuminum alloyfor the frame, case and accessories due to its high degree of plasticity. 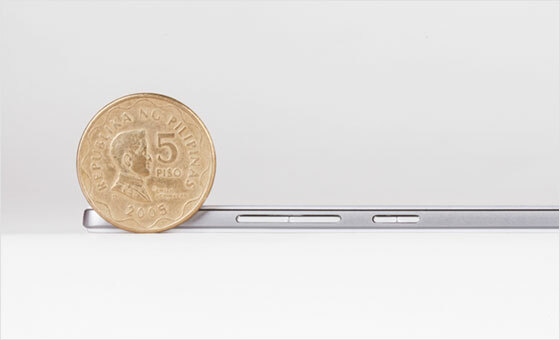 The conservation of space is of the utmost importance when constructing an ultra-thin smartphone. Along with the sophisticated components, space must be reserved for SIM card slots, volume buttons and the power button. These parts of the device, though necessary, leave the phone at risk of damage to the frames integrity when constructed from conventionalaluminum alloy materials. As a result, new frame solutions were required to be implemented when constructing the R5. To address the above basic and crucial issue, OPPO R&D department tested on various materials and concluded that it was necessary to drop the conventional aluminium alloys used for the construction of many devices todayin favor of a higher-strength stainless steel frame for the R5. 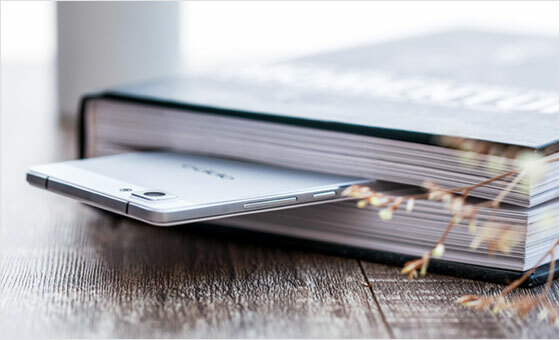 The OPPO R5's stainless steel frame has a particularly high strength with a hardness of 250HV*, which is three times that of ordinary aluminum alloy. Only after undergoing 4 times of forging process, 5 times of high pressure treatment as well as a 55-step production process and over 1000 times of polish work, can stainless steel raw materials then be used for sreening qualified ones to forge the durable ultra-thin skeleton of R5. To give the reinforced frame a superior texture, OPPO makes use of a unique PVD process** to increase its surface strength from 250HV* to 400HV*, making it highly scratch-resistant for everyday use. 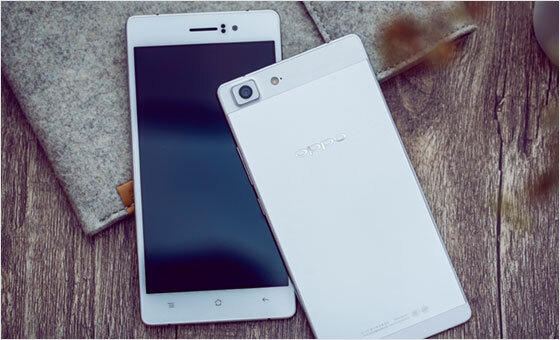 The phone’s stainless-steel rear casing, which has a surface strength five times that of aluminum alloy (80HV) at 400HV, combined with the stainless-steel frame, gives the OPPO R5 a well-fortified body. 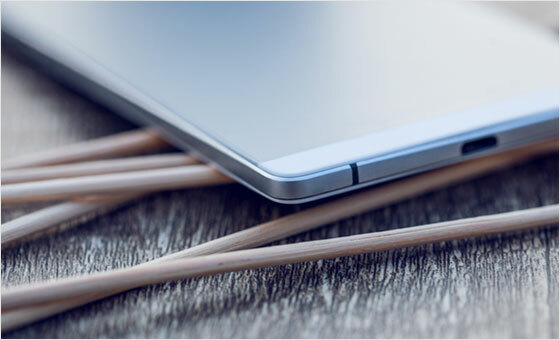 The OPPO R5 has been ergonomically designed with a micro-arc frame, whose upper curve is slightly longer than that of the lower curve, thus delivers the most comfort with the best grip possible. 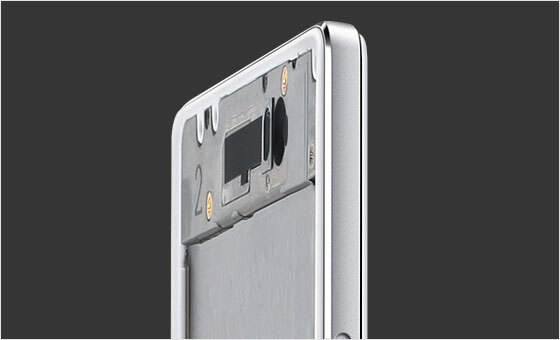 The stainless-steel frame alone is not enough to make R5 the strongest ultra-thin phone. 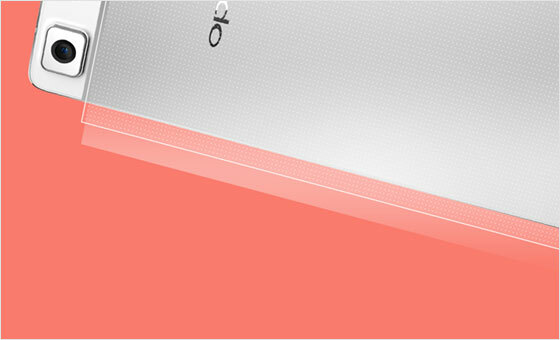 OPPO needed implement other technologies in order to bring the highest resistance possible. Engineers arranged the R5’s frame in a C-shaped layout, which is then reinforced with seven lengtheners and five stiffeners to make the R5 even more durable and pressure-resistant. The joint of the C-shaped frame and stainless-steel midframe in the R5 is 3D-welded on both the front and the sides, further enhancing the framework. Being subjected to a bend test in which 25kg of force is applied 1,000 times to both sides of the frame, the R5 may be thin but won’t bend. With an unrivalled high-strength stainless-steelmicro-arc frame, which is reinforced with 3D welding, the 4.85mm OPPO R5 presents users with a stronger ultra-thin phonewhich is as durable as it is slim. *: Vickershardness (HV) is a measurement of hardness first put forward by British scientists Robert L. Smith and George E. Sandland. **: PVD, or physical vapor deposition, is a physical process which deposits atoms or molecules from their sources to the surface of base materials. It is used to spray particles with desired properties (high strength, abrasion resistance, heat dispersion, decay resistance, etc.) on base materials where those properties are needed. Common PVD techniques include vacuum evaporation, sputtering andion plating (hollow cathode discharge ion plating, hot cathode ion plating, arc ion plating, activated reactive ion plating, radio frequency ion plating anddirect current arc discharge iron plating).